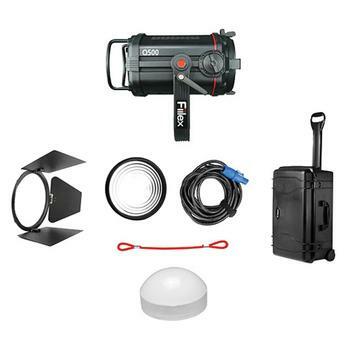 Provide your shooting sets with the perfect lighting by using the Fiilex K151 Travel Kit. 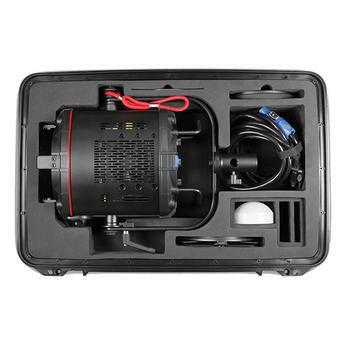 It comprises of a Q500 light head, a 5-inch Fresnel lens, a 20-feet long PowerCon cable, a Q500 barndoor, a cord tie, a custom Q500 rolling travel case, and a dome diffuser. 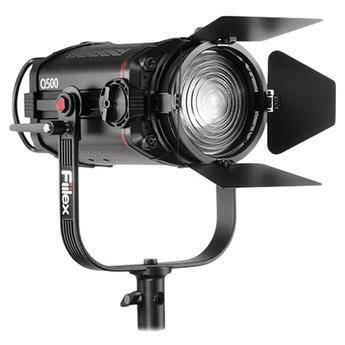 The light head uses an 185 W LED light, which is capable of delivering a luminance output similar to a conventional 750 W bulb. 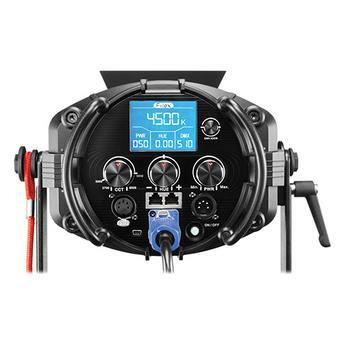 The inbuilt LCD screen displays essential information about the light settings used. 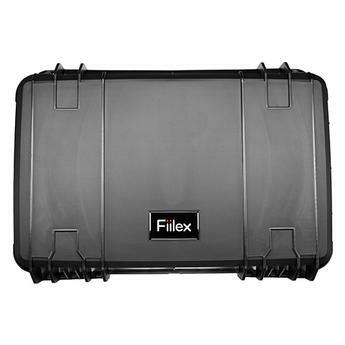 For safe and easy portability, you can carry the K151 travel kit in the sturdy custom-made case provided. In addition, this light does not emit any harmful UV radiation. Weight: Case Weight: Fully Loaded 30 lbs.